A great score full of magical imagery. My complaints are that almost all of the tracks are under 2 or 3 minutes and some of the better tracks don’t stick to a single constant theme, even within the short time it is on. 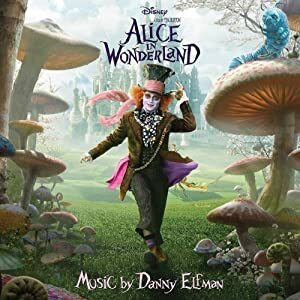 Also there are numerous tracks which a choir sings “Alice!” over and over again, which makes it far less likely I’d ever use that track for background music. My favorites are “Doors”, “The Cheshire Cat”, “Alice Escapes”, “Only a Dream”, “Going to Battle”, and “Blood of the Jabberwocky”.